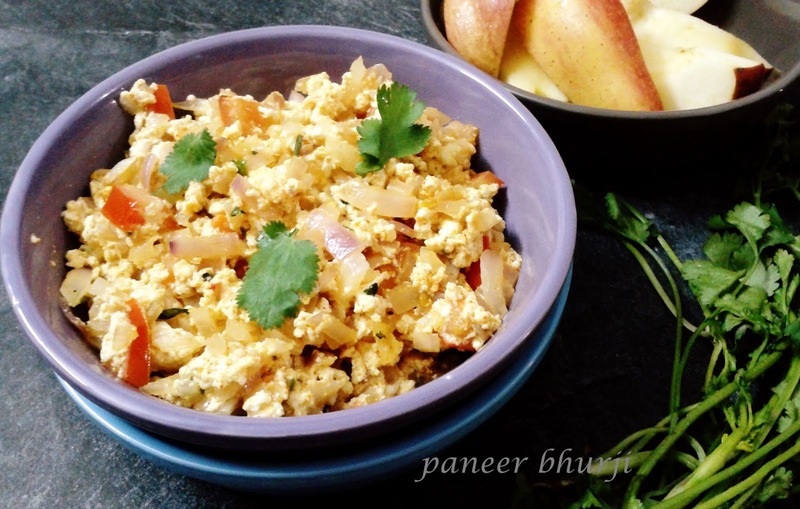 Serve upma hot with sambhar or coconut chutney. 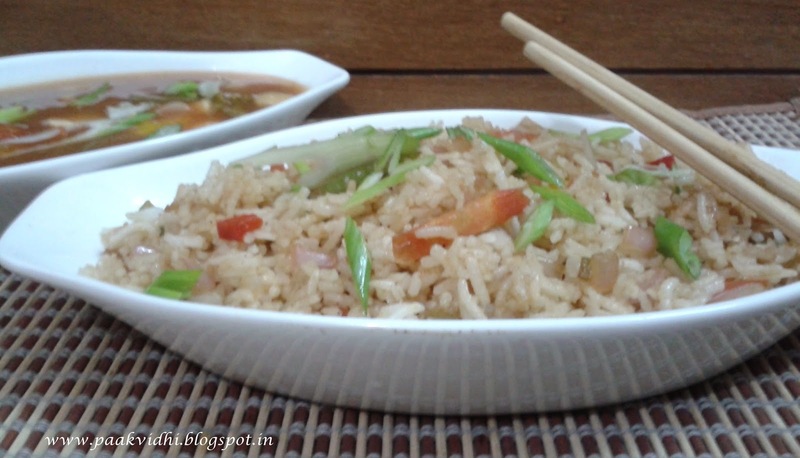 Soak, drain and boil rice in 4 to 5 cups water, till the grains are almost cooked (just tender but not over cooked). Strain the extra water and let the rice cool completely. Keep the rice aside. Chop the veggies and keep aside. Heat oil in a wok or a pan. Splutter the green chilies. Add the garlic and onions and stir fry till they are transparent in colour. Now add all the other vegetables and stir fry on a high flame for a minute. Add salt, pepper, ajinomoto and rice. Add all the sauces and vinegar. 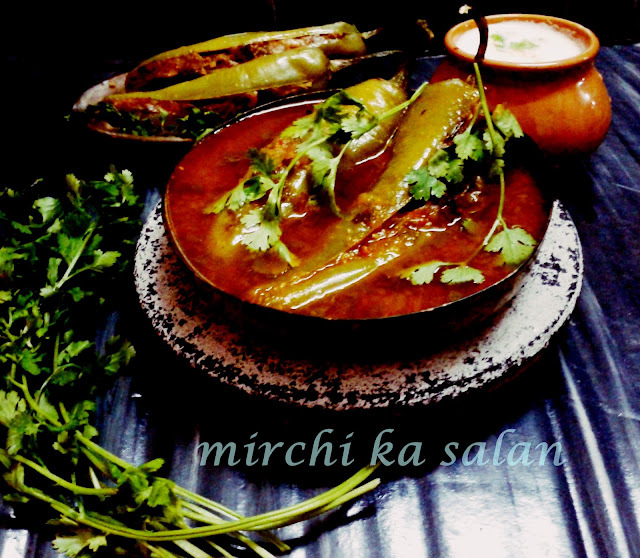 Garnish with spring onions and serve hot with cottage cheese in garlic sauce, sweet and saur vegetables, manchurian. Cut the red grapes into half and remove the seeds. 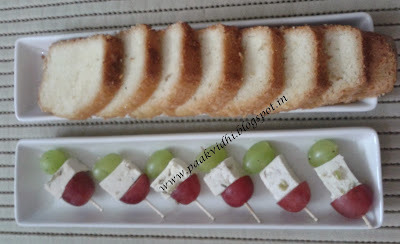 Now skew grapes and tofu on the tooth picks,sprinkle some salt and serve. Heat ghee in a kadhai, add the gram flour and cook over a low flame stirring continuously till it is golden brown in colour. Remove from the fire and let it cool completely. Now mix together the gram flour mixture,color and powdered sugar. Divide into equal portions and roll into shape of laddus by pressing tightly with your hands. Soak moong dal at least for 2 hours. Heat oil in a kadahi and drop a tsp or a tbsp of batter at a time depending upon the size of vadas you want. Soak the vadas in water for 1 hour. Drain and squeeze out all the water by pressing each vada gently between your palms. Grind all the ingredients to make a fine powder. Dissolve this powder in 1½ litres of water, cover and keep refrigerated for 24 hours to allow all the flavours to blend. In another bowl, mix butter/oil, powdered sugar, and milk powder together useing a whisk or blender. Add milk and vanilla to the creamed mixture and mix until well combined. FInally, add the tutti frutti or the nuts and fold in gently. Sieve wheat flour and add 1 tbsp oil,fennel seeds and cardamom powder to it and keep aside. Heat 1/4 cup water in a pan and add grated Jaggery and cook till it melts completely. Now mix wheat flour and jaggery syrup and knead a dough using some water if required. 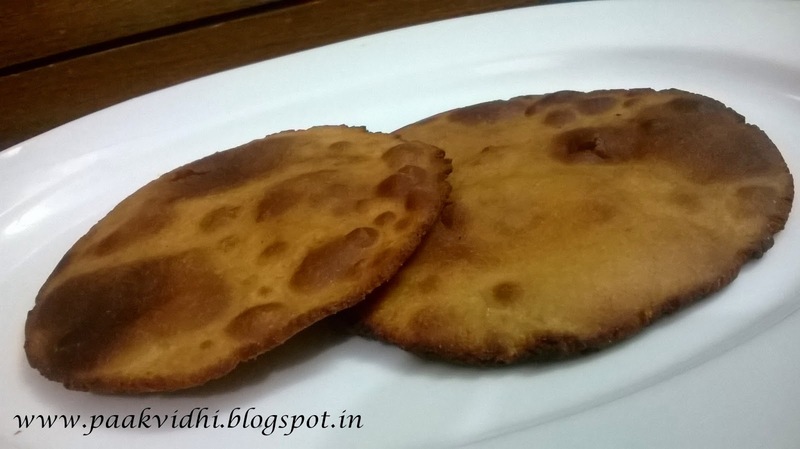 If you are making puris then knead a tight dough and if you are making gur ki roti then make a soft dough. Now make lemon sized round balls and roll the balls with the help of a rolling pin to make circular disks and deep fry them in hot oil or make roti on a tava applying oil on both the sides. If you are making puris then use cardamom powder instead of fennel seeds or coarsely grind it before use. Set the milk in a pan to boil over medium heat. Stir occasionally and make sure not to burn the milk. When the milk comes to a boil, sim the fire and pour the curd or lemon juice gradually into it and keep stirring. Reduce the heat and stir continuously until the milk completely separates into curds and whey if required add more curd or lemon juice. Remove from fire and keep it aside for 10-15 minutes. Do not stir it. Now place a clean muslin cloth over a strainer. Rest the strainer over a large vessel and strain the curdled milk through the muslin cloth. Then, hold it under running water for a minute so that the smell and sourness of the curdling agent goes away. Now, gather the corners of the muslin cloth and squeeze out the excess water as much as you can. Hang the muslin cloth either on the kitchen sink tap. Leave it as such at least for half an hours, and the excess whey will drain out completely. When the water is completely drained out, remove the cheese from the cloth and put it in a bowl. Make sure the cheese does not dry out completely because it should be soft and moist. Now knead the cheese well with your fingers for 8-10 minutes. 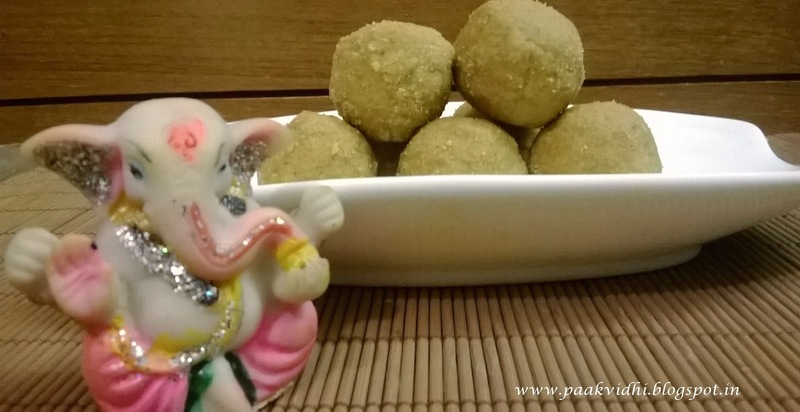 The right consistency to make cheese balls is when you roll it into balls the balls should be very smooth without any cracks or holes.Kneading is very important as it will make the rasgullas smooth and spongy. Bring the water to boil in a pressure cooker or in a big vessel, Add 1 cup sugar and boil until the sugar completely dissolves.Now start adding flat paneer balls in the syrup. Do not add many flat balls as it should have enough space to double its size.Cook for one whistle and then keep it in sim for 10 more minutes.Or cook the flat balls in a big vessel under lid for 4 minutes on full flame and then 8 minutes on slow flame. Let the rasgulla come to a room temperature. Boil the full cream milk in a pan and cook till it is reduced to half of its quantity stirring continuously and scrapping the sides after short intervals. Now add sugar and cook further for 5 more minutes then add saffron and cardamom powder to the syrup.If you like the lumps of cream then let it be like that otherwise beat it for a while with the help of a blender. When rasgullas and the syrup become cool squeese the rasgullas lightly and place them in the serving bowl then pour the syrup over the rasgullas and refrigerate. If you wish you can keep the milk aside for cooling for an hour after it boils but d'not refrigerate it and remove the cream otherwise the oil present in paneer will make a layer of oil over the syrup when you keep the prepared rasgullas in fridge for cooling. 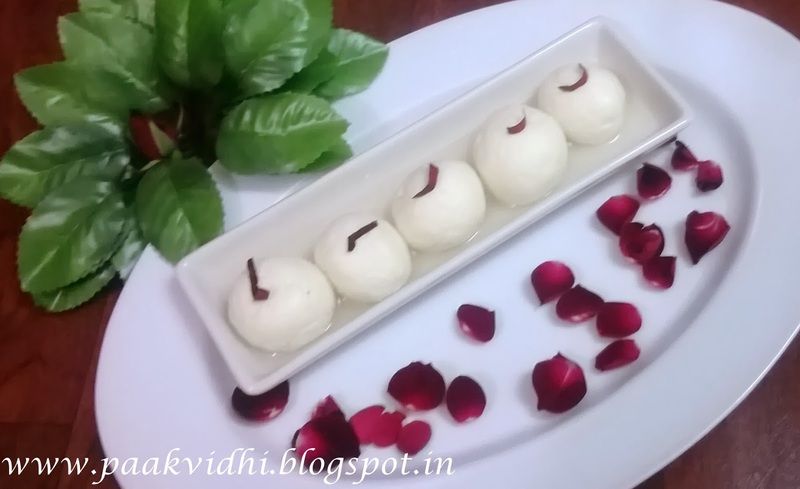 To test whether the rasgullas are cooked or not take rasgulla in a spoon, if you press the Rasgulla and if it springs back and retains its shape, Rasgulla has passed the test. Another test is drop a Rasgulla in a bowl of cold water. If it sinks to the bottom, it is cooked. If you find it difficult to knead the cheese and making balls, dust little maida (more or less 1 tbsp) and then knead to form balls. Adding maida is optional. Softness of cheese depends largely on fat content in the milk. You can make the syrup using condensed milk and boiled milk. Chop the vegetables into small pieces of same size and boil for 3-5 minutes. Chop the pineapples and apples again in same size and grapes into halves. Mix all the fruits and vegetables. Mix the mayonnaise and cream and then mix this mayonnaise and cream mixture thoroughly with vegetables and fruits. Add salt and pepper. Do not over boil the vegetables,and the veges should not loose the crunch.While boiling the vegetables you can add a tsp of oil ,this will help veges to retain their color and the crunch. Either use both fresh cream and mayonnaise or any one of of them depending upon the availability and taste. Adjust the quantity accordingly. Grind all the ingredients listed under chutney with a little water to a smooth paste. keep aside. Soak the dried white peas overnight or atleast for 3-4 hours. Drain and then pressure cook with 3 to 4 cups of water and salt,simmer the gas after first whistle and then cook for half an hour under pressure or till the matar are cooked. Cook the mixture till the matar get desired consistency. Mash the matar slightly with a potato masher and mix the prepared chuttney. Now spread a layer of chopped veges on the peas. Now heat oil in a pan and add the asofoetida and the cumin seeds then add all the dry spices stir and immediately pour this tempering over the cooked peas. Now cover the pressure cooker with the lid for 5 minutes so that the aroma of the spices is absorbed in the peas. Now heat a tava and cook kulcha from both the sides applying a bit of oil if you like and serve it with prepared matar. Pour the batter immediately into a flat greased tray or thali and shake the try/thali to spread the batter evenly. Steam for 12 minutes and check with knife if the knife comes out clean then it's o.k. otherwise steam for 2 -3 minutes more or till the dhoklas are cooked. Keep aside. Remove from the flame, add 2 tbsp of water and mix well. Pour the tempering over the dhoklas. Cool slightly and cut into equal pieces. Serve immediately garnished with coriander. You can also bake the dhokla in a microwave oven on high power for 4 minutes then check with knife if the knife comes out clean then it is o.k. otherwise bake for another minute and pour the tempering and serve after cooling it. 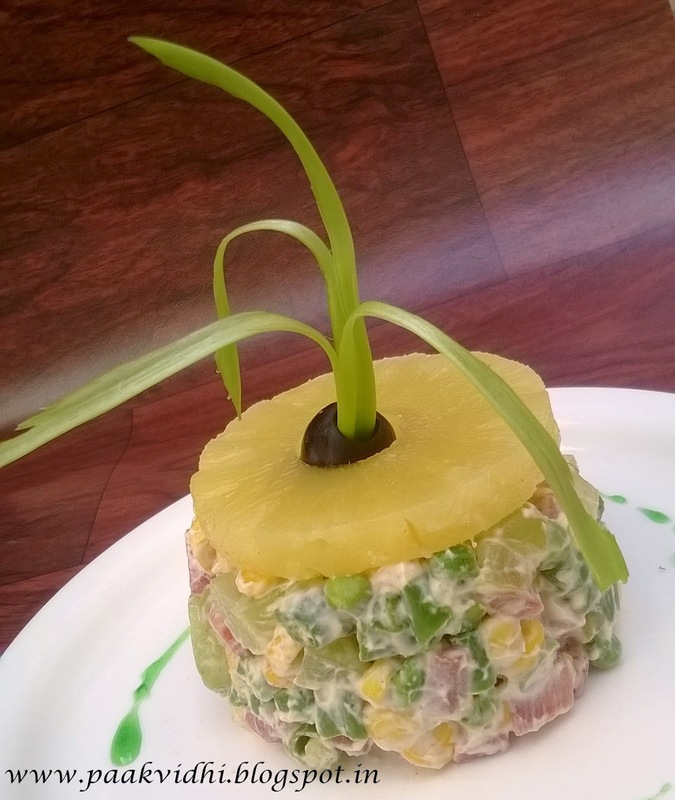 If you are making it in a microwave oven then use a silicon or tupperware mold instead of a glass bowl. Soak urad dal at least for an hour and then grind the soaked dal in mixer and keep aside. Heat the oil in a pan and add the cumin seeds and asafoetida. When the cumin seeds crackle, add the dal and sauté till it starts changing color. Add the green chilli-ginger paste, and all the other spices and salt and sugar and stir for 5 to 7 minutes till the masala is cooked. Take refined flour in a bowl. Add oil and salt. Add sufficient water and knead into a stiff dough. Cover with a moist cloth and rest for fifteen minutes. Divide the dough into six equal portions. Apply a little ghee and roll out into small puris and cut each puri into half and make a cone . Divide the filling into twelve equal portions. Place one portion of filling in the center of the cone, seal the edges if required you can use water or a slurry of water and maida to seal the edges in the shape of a samosa. Similarly prepare other samosas. Heat sufficient oil in a kadai till hot. Deep-fry the samosas on medium heat till golden. Drain out on an absorbent paper and serve hot with imli (tamarind) chuttney. You can also boil dal in one cup water till it becomes soft, now drain out excess water and mash the dal with the help of a potato masher and roast it in oil. You can deep fry the ground dal pouring a spoon full at a time in the hot oil as we make bhallas and then again grind the bhallas in the mixer and the cook it with little oil and spices. 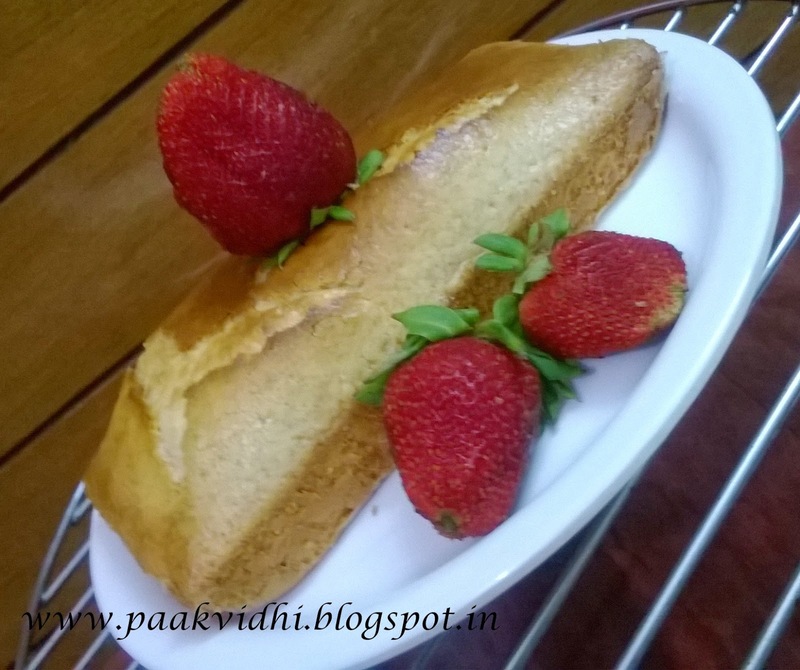 You can make the filling with moong dal as well. 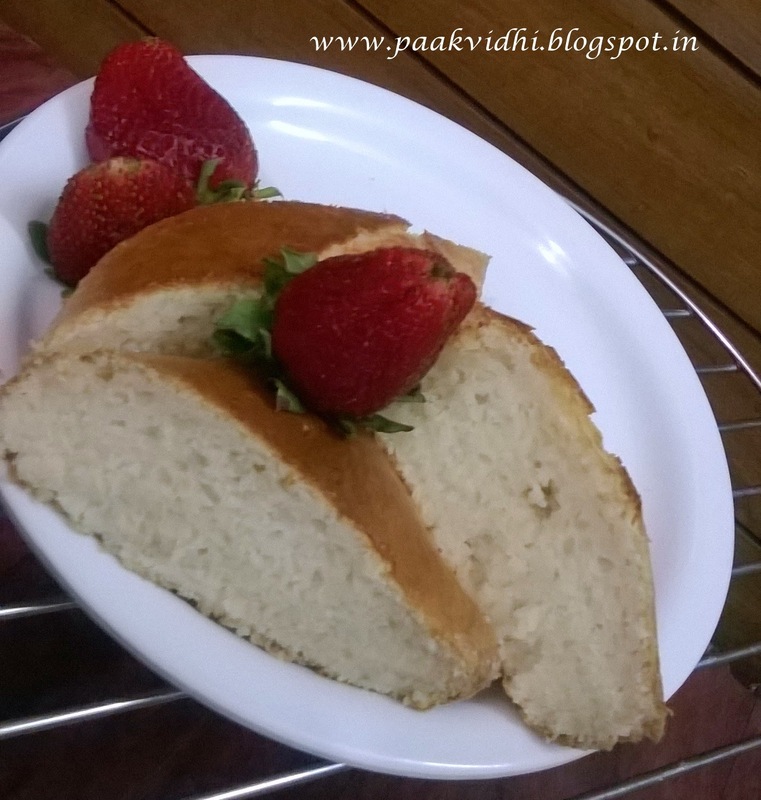 Trim off the brown edges from bread slices with the help of a round cutter or bowl(katori). Mix khoya,powdered sugar, coconut, cardamom powder, cashew, badam to make the filling. Boil sugar with a cup of water in a pan to a one string consistency and set aside. 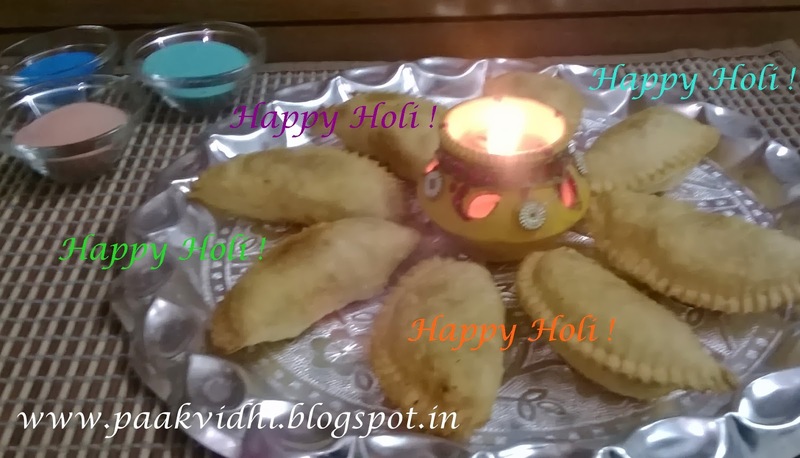 Dip bread slices in water, squeeze and place khoya mixture in between slices and seal the edges in the shape of a gujiya. Heat oil and fry bread slices till golden brown in color, soak in syrup for a minute and drain out from the syrup. 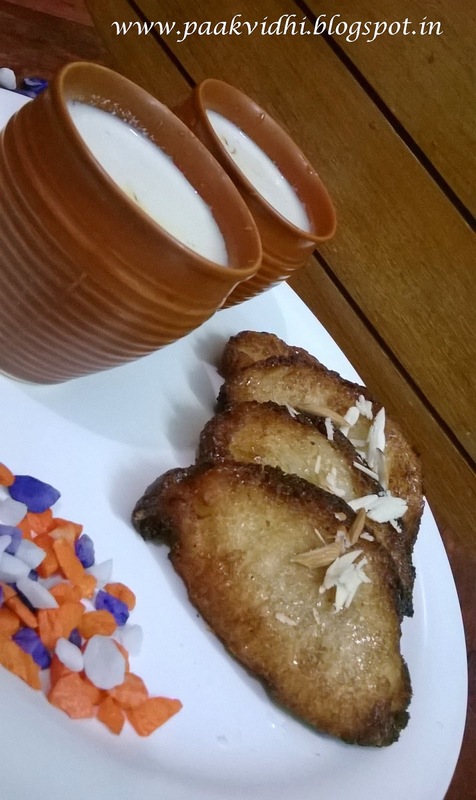 Serve hot garnishing with almonds,pistachios or if you like you can pour rabri on it. If you like you can use any sweets (khoya barfi,kaju barfi,badam barfi etc.) available at home mixing some desiccated coconut in it and use it as filling. Add chopped orange segments after removing seeds and skin to the cool phirni ,garnish with some slices of orange. Wash and blanch spinach leaves in boiling water for two to three minutes. Drain and refresh under cold water. Squeeze out the excess water, cool and chop finely. Take one tbsp oil in a pan and add garlic and green chillies and cook for a minute then add spinach and cook spinach to make it dry. Add gram flour and garam masala and cook till the mixture leaves the sides of the pan. Switch off the gas and keep the mixture aside. In another bowl mash the paneer with a little salt and a pinch of garam masala. Divide into eight equal portions and roll into balls. When the paalak mixture becomes cool devide it into eight portions then take each spinach portion, flatten it on your palm and place a paneer ball in the center. Gather the edges and shape into a ball. Spread the cornstarch in a plate and roll the stuffed spinach balls in it and deep fry in hot oil.Try one first and if it breaks add some more gram flour and then fry till golden brown in color and keep aside. Now puree the tomatoes to a smooth paste. Heat 2 tbsp oil in a pan add garlic and sauté for one minute. Add the tomato puree and salt and mix well. Add the red chilli powder and cook for fifteen minutes or till the gravy becomes thick. Add the dried fenugreek leaves to the gravy. Stir and cook for five minutes more. Add garam masala and the cream and cook for two minutes. Pour the gravy into a serving bowl, halve the koftas and place on the gravy and serve immediately. Heat oil in a pan and stir onions and bell peppers for one to two minutes or till they become crunchy. Now add cabbage and stir further for a while and add salt, pepper and lemon juice. Heat oil in a pan and add all broccoli and salt and when it becomes tender add mushrooms and stir for a while now add red cabbage and stir further for 1 minute. Now add black pepper and sliced blanched almonds and serve. Sieve flour and rub in three tablespoons of ghee. Add salt and cold water and knead into a stiff dough. Cover it with a moist cloth and keep aside. Place khoya in a bowl and add desiccated coconut, cashew nuts, almonds and green cardamom powder and mix well. Add powdered sugar and mix properly. Divide dough into small balls. Grease the gujia mould. Roll out dough balls into small puris, put it on the mould. Place the stuffing in the hollow portion. Apply a little water on the edges, close mould and press firmlyand remove extra dough. Demold the gujiya and keep it covered with a damp cloth. Similarly make all the gujiyas. Heat ghee or oil in a kadai and deep fry gujias on medium heat till golden brown. Drain and place on an absorbent paper. 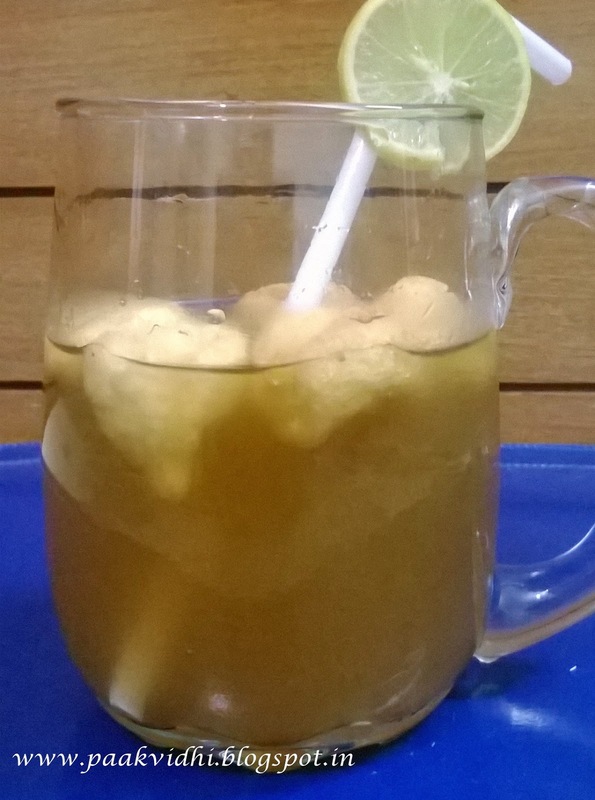 Serve hot or cold.You can store these gujiyas in a container when they cool down. If you do not have a mold, gujias can still be prepared. Roll out puris, cut with a katori to get a proper round shape. Place stuffing on one half, lightly dampen edges and fold the other half over the stuffing and press edges firmly using a fork. You can also add 2 tbsp semolina roasted in a tbsp of ghee in the stuffing if you like this will absorb any moisture present in the stuffing and then you can store it for more time. Bring the water to boil in a pressure cooker or in a big vessel, Add 1 cup sugar and boil until the sugar completely dissolves.Now start adding paneer balls in the syrup. Do not add many balls as it should have enough space to double its size.Cook for one whistle and then keep it in sim for 10 more minutes.Or cook the balls in a big vessel under lid for 4 minutes on full flame and then 8 minutes on slow flame. If the rasgullas are sweet enough then it is O.K. otherwise take out some of the syrup in another pan and dessolve 1/2 cup sugar in it and mix it with the rasgullas. Now add the saffron and cardamom powder or rose water to the syrup. Let the rasgulla come to a room temperature. Now, transfer the rasgullas to a serving bowl and refrigerate. Serve cold. If you wish you can keep the milk aside for cooling for an hour after it boils but d'not refrigerate it and remove the cream otherwise the oil present in rasgullas will make a layer over the syrup when you keep the prepared rasgullas in fridge for cooling. Mix all the vegetables,pineapple and cheese in a bowl. Sprinkle all the spices,lemon juice,oil and salt on them and mix well. Grease a non - stick tava or griddle pan and heat it, when it is hot place all the ingredients one by one on tava and turn sides after regular intervals. Remove from fire as and when each salad piece is cooked. Serve hot after sprinkling chaat masala and some lemon juice. 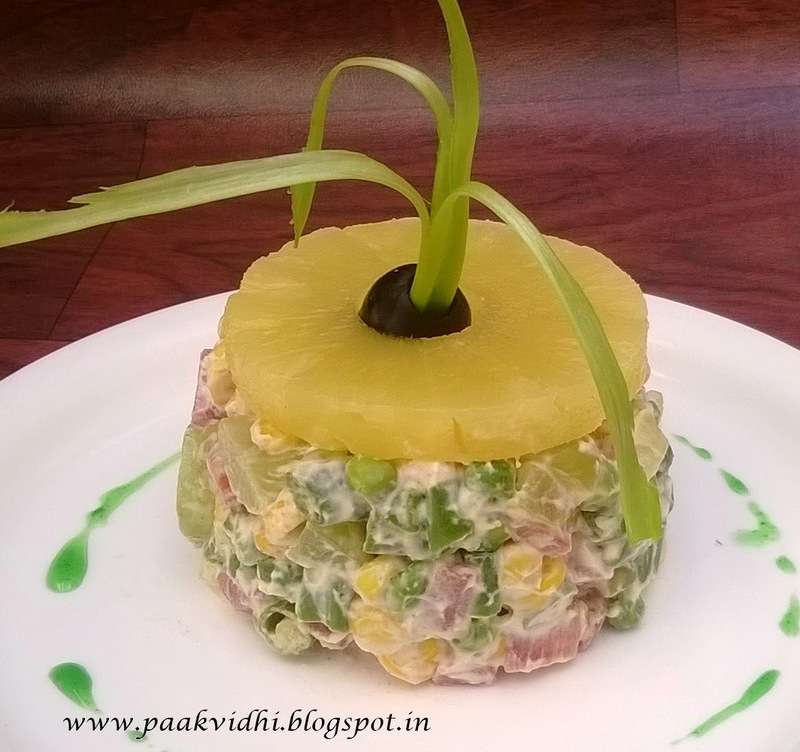 If you are using canned pineapple slices and you want to serve full slices then place pineapple slices in a plate and arrange rest of the veges and cheese after mixing them well in a bowl and sprinkle spice on the pineapple. You can grill the veges in a oven or tandoor at 180 C for 10 to 15 minutes though the time the veges will take to be grilled will depend in order of tenderness of vegetables. If you are using canned pineapple then the time required will be less as compared to raw pineapple. You can use more or less vegetables as per your choice like mushrooms,baby corns,jack fruit (kathal)(blanched),cauliflower (blanched) ,broccoli (blanched)etc. Combine all the ingredients except oil in a bowl and mix well. 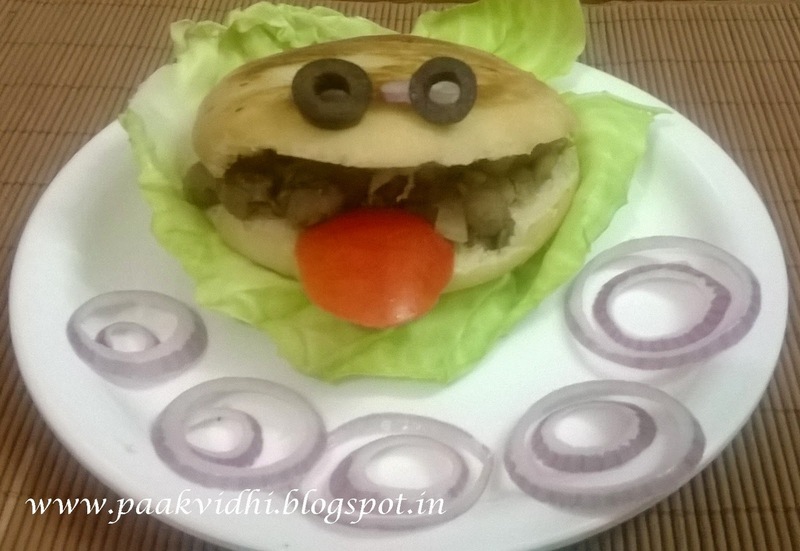 Divide the mixture into 6 equal portions and shape each portion into a round, flat tikki. Heat a non-stick tava (griddle) on a medium flame and grease it with oil and cook the tikkis, using little oil, till both sides are golden brown in colour or fry in hot oil. Serve hot with tamarind chuttney,curd ,green chutney grated raddish and sliced onions. 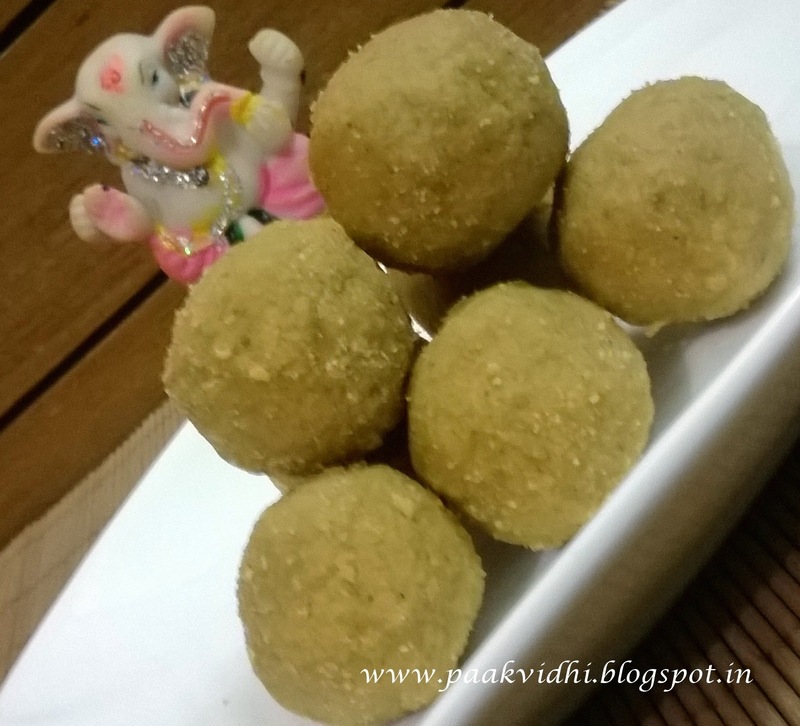 If you are not deep frying the tikki then you can avoid bread crumbs. Heat oil in a pan and add cumin seeds and when they start to crackle add onions and stir for 2 minutes then add ginger,green chilies and tomatoes and stir for a while. When the tomatoes become soft add peas and salt and cook till the peas become soft. Now grate cheese and add the cheese to the veges and mix well. Now add all the spices and the coriander leaves and stir for 2 minutes. Now paneer bhurji is ready to be served. Soak urad dal at least for an hour and then boil it in one cup water till it becomes soft, now drain out excess water and mash the dal with the help of a potato masher and keep it aside. When the cumin seeds crackle, add the mashed dal and sauté till it starts changing color. Add the green chilli-ginger paste, and all the other spices and salt and sugar and stir for 5 to 7 minutes till the masalas are cooked. Take refined flour in a bowl. Add the ghee (melted) and salt. Add sufficient water and knead into a stiff dough. Cover with a moist cloth and rest for fifteen minutes. Divide the dough into twelve equal portions. Apply a little ghee and roll out into small puris.. Divide the filling into twelve equal portions. Place one portion of filling in the center of the puri, gather the edges and seal. Press gently and pat with hands to flatten the kachori a bit, keeping the sides thin.Similarly prepare other kachoris. Heat sufficient oil in a kadai till hot. Deep-fry the kachoris on high heat till golden. Drain out on an absorbent paper and serve hot with imli (tamarind) chuttney. You can also grind the soaked dal in mixer and then cook it in oil instead of cooking or roasting boiled dal. Heat 1 tbsp oil in a pan and cook onions till they become golden brown in color and keep aside. In the same pan dry roast together coriander seeds, cumin seeds, sesame seeds, poppy seeds, fenugreek seeds, peanuts and dry coconut for 3 to 4 minutes or till you start smelling the aroma of roasted spices. Grind all the ingredients except oil,curry leaves and green chilies to a smooth paste. Heat rest of the oil in a pan and deep fry green chilies till they become slightly brown in color. Drain out from the oil and keep aside. Now add and curry leaves and ground paste to the oil and cook on medium flame for 7 to 8 minutes. Add and half cup water and when the gravy starts boiling add green chilies and cook further for 4 to 5 minutes till the gravy releases the oil. Grind coriander and green chillies to a paste. Add besan, curd, salt, chilli powder,schezwan sauce garam masala, jeera powder. green cardamom powder, ginger garlic paste, half of ghee or oil and lemon juice to the paste.Add enough orange colour to get a nice colour. 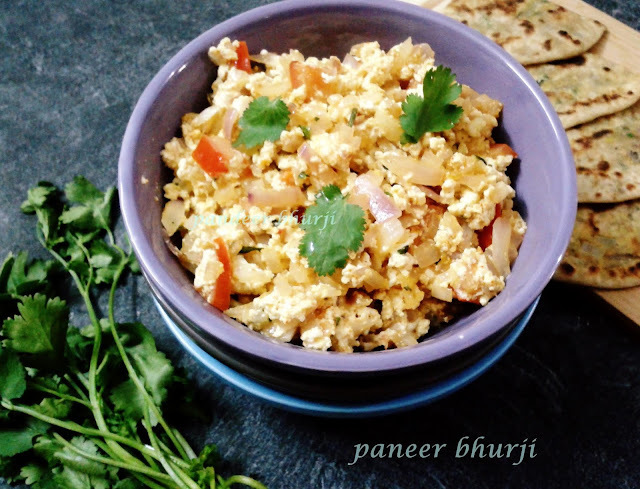 Cut paneer into cubes.Put the paste in a big bowl and add the paneer pieces and mix well so as to coat the paste nicely on all the pieces.Add the onion ,tomato and capsicum pieces also and mix lightly.Keep in side the fridge till the serving time. If you are using wooden skewer sticks then soak them in water for some time before use. Now pierce the cheese onion and capsicums in the order of your choice in the skewers and cook them on greased hot griddle pan (or directly on flame putting the skewers on a wired rack) from all the sides while turning the sides after regular intervals. Or you can heat an oven to 180 C or a gas tandoor on a moderate flame.Grill the paneer pieces and vegetables by passing through skewers and keeping on a hot oven on a greased wire rack.Keep in the oven for 10-12minutes. Remove from oven. Heat malai or cream in a kadhai on a very low flame, to make it just warm.Do not let it turn into ghee by keeping on the fire for a longer time. Add the grilled paneer and vegetable pieces.Toss gently and remove from fire or pour the cream over the skewers. Sprinkle chaat masala and lemon juice, serve with nachos and pudina chutney.